The group’s 2010 tour follows up a 12-month period marked by high profile performances and projects. 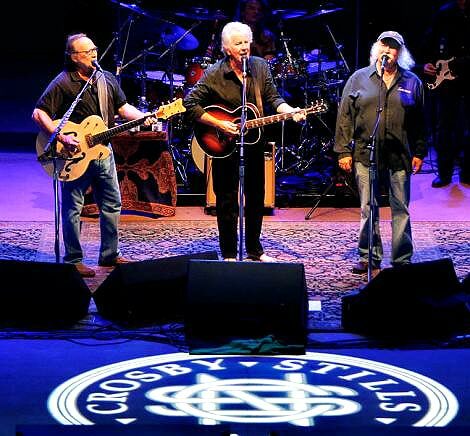 Earlier this year, CSN musically saluted Neil Young—their longtime partner in Crosby, Stills, Nash & Young—at NARAS’ Person of the Year gala honoring Young that kicked off 2010 GRAMMY® week. In October 2009, CSN played at the Rock and Roll Hall of Fame 25th Anniversary concerts at Madison Square Garden. 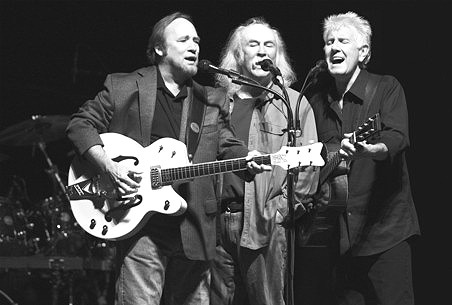 CSN was inducted into the Rock and Roll Hall of Fame in 1997, and each member also has the remarkable distinction of being inducted a second time as part of another legendary group: David Crosby for The Byrds, Stephen Stills with Buffalo Springfield, and Graham Nash for The Hollies.